The Deputy Commissioner of Fiji Police (Operations), Isikeli Vuniwaqa says that all police posts in Fiji should be running on solar powered systems. Mr Vuniwaqa was present at the inauguration of the Hybrid Solar system at the Safe Landing Resort at Nacula Island in the Yasawa group. “This spells volume of how we are serious about power energy, an energy that we normally have daily but neglect that assistance are available. “We will work with Cal Valley in years to come in order to fully energize all our police posts and stations. “Police work on a 24 hour basis and such kind of assistance helps the police in achieving their goals. Mr Vuniwaqa confirmed that other developments will be taking place in the Mamanuca group with the building of a new Police post. Almost all the islands have resorts and when departing Nadi, the first police post is in Nacula Island and the second one is in Kese Island. 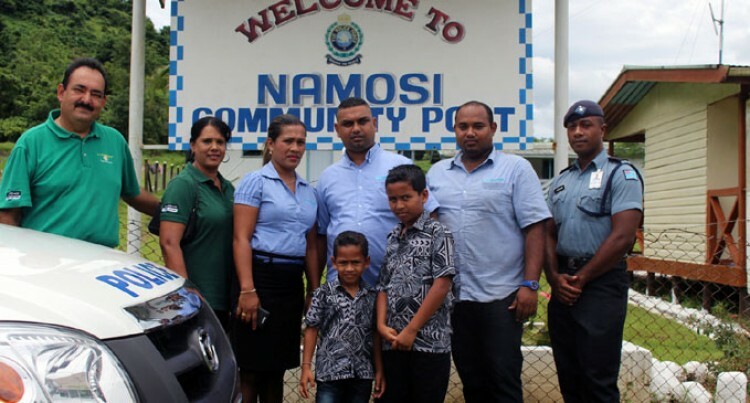 “Police assistance is needed, the force needs to be in par where the public demands are so we are looking at another police post between Nadi and Nacula Island,” Mr Vuniwaqa said.